It’s finally here: Instagram is officially available for Android. After a long and often tortured wait, one of the most popular applications is now up for grabs in the Google Play store. 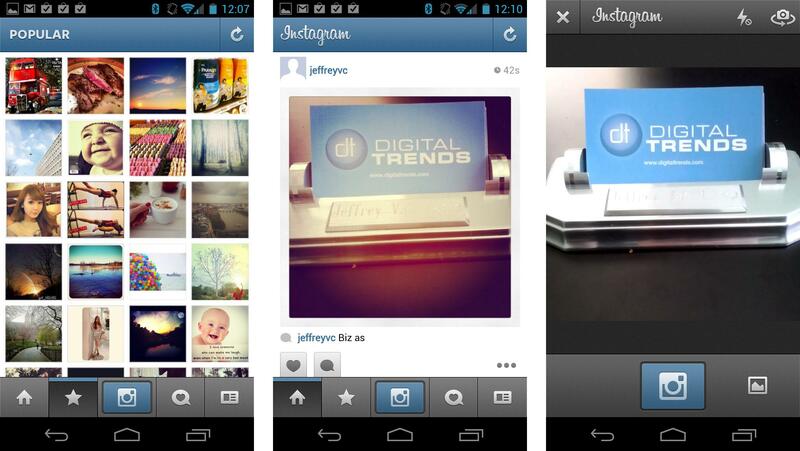 While it’s good news for Android users, it’s greater news for Instagram. The platform has surpassed 30 million registered users and Android’s 500 million activations means that that number is about to skyrocket. As you might imagine, the app’s UI (seen above on our Galaxy Nexus) looks nearly identical to the original that we’ve come to know and love — the more than 430,000 Android users on the waiting list for the app should be happy about. Instagram has more than 30 million registered users. 430K+ Android users are going to download the app. Its original release was in October of 2010 – less than two years ago. So that’s (assumingly) nearly 30.5 million users in less than two years. To offer scale, Facebook had 7 million users by mid-2006, approximately two years after it launched. Of course, it was limited to college students at the time and was a Web-only platform (and one that people hadn’t really wrapped their minds around yet). But it’s still proof of the unprecedented growth that Instagram is experiencing, and evidence that it’s well on its way to being our first true social-mobile platform – if it wants to be. With great power comes great responsibility, and if Instagram is going to rise to the challenge it would mean heavy investment in its infrastructure. It would have to open up to Windows Phone and BlackBerry (yeah, I said it) and make sure it’s able to support that kind of traffic and use. It also needs to have fully staffed teams for each platform, and be picky about the talent it brings onboard. Those days could be numbered. This market is Instagram’s for the taking, which is sort of amazing for an app that still retains such a narrow focus and utility. Windows Phone has to be up next – right?